Very cool. Jay is a great guy from what I hear. Anyone interested in Jay should hurry and get him while they still can. Awesome. I hope this is the first of many more to come. 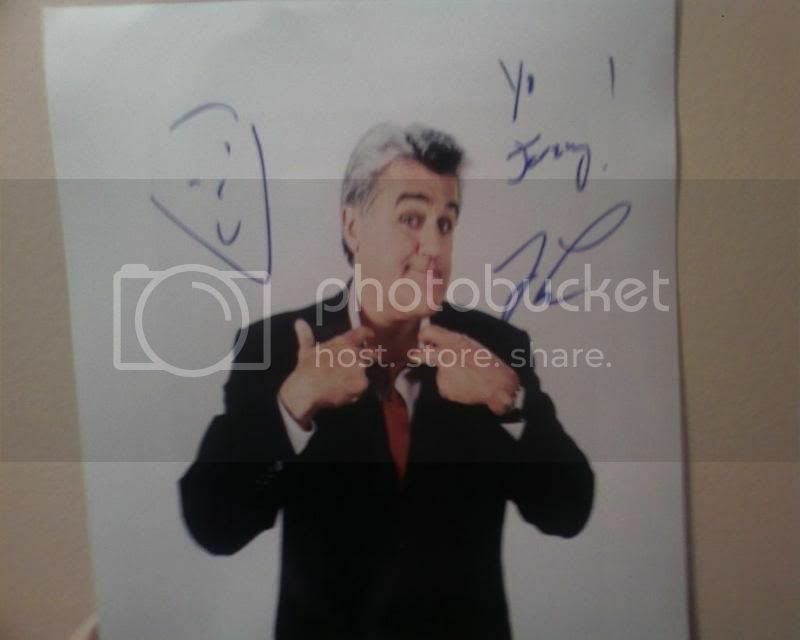 When Leno first took over the Tonight Show I requested an auto through the mail and received a great B/W with him and his band leader at the time Branford Marsalis (SP?) and he signed the same way with the characture and the YO! Awesome to see he hasnt changed in all this time.